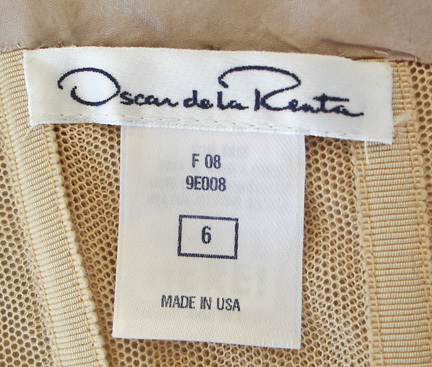 Oscar de la Renta ballgown photographed in blue (see runway photo) in many ad campaigns. 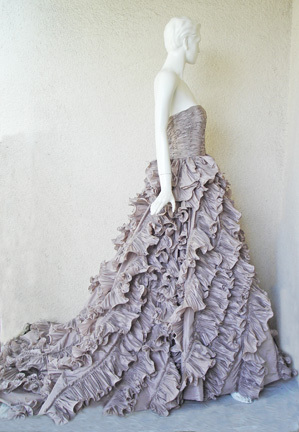 Being offered is the gown in a soft mauve shade. 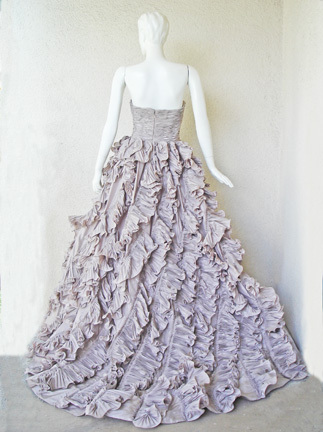 Fashioned in silk taffeta strapless ruched corset bodice extending into huge full ruffle skirt with crinoline underskirts. Clearly a fairy tale fantasy gown. 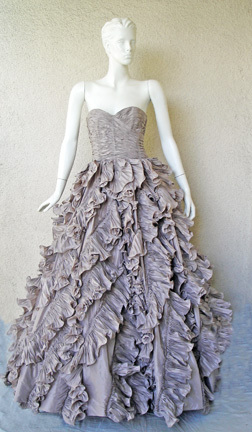 Gown being offered is identical in style as the runway photo shown but, in a different color. Offered brand new and unworn.